We proclaim ourselves to be the best garage door repair experts around because of the high quality services we consistently provide. Find out more about how our team can help you with various issues by looking at our latest repair and replacement projects. Customer Issue: The customer’s garage door was moving frustratingly slow, especially while opening, and making scraping noises. Our Solution: Since the noises were clearly coming from the door itself, the team checked the mechanism and found some bad warping on one of the tracks. Beating it back into shape offered a temporary fix, and they replaced it shortly afterward. 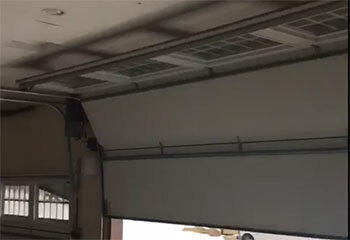 Customer Issue: Mr. Pierce called us after he accidentally ran over and damaged his garage door sensor. 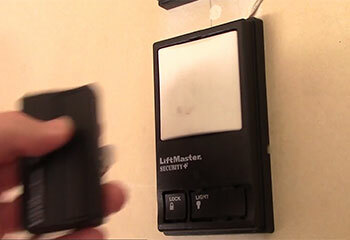 Our Solution: Our technician replaced the damaged sensor and aligned it to specifications. He then tested the door and sensor to make sure they worked properly together. 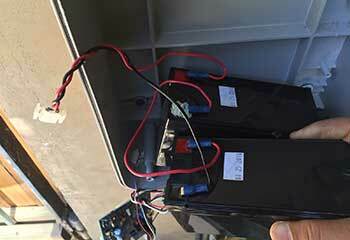 Customer Issue: Mr. Cox couldn't get his remote control to work with his garage door. Our Solution: Our technician replaced the batteries and found a broken connection inside the remote. He resoldered the connection and then tested the remote to verify proper operation. Customer Issue: Our technician found all the rollers in Mr. Holmes' door were damaged or broken and needed to be replaced. 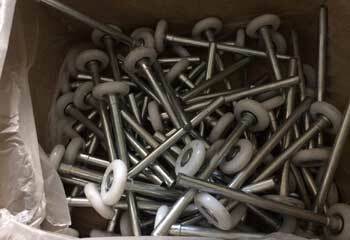 Our Solution: The old rollers were replaced with new ultra-quiet nylon units which solved the problem. Our technician then tested the door to make sure it was properly aligned.